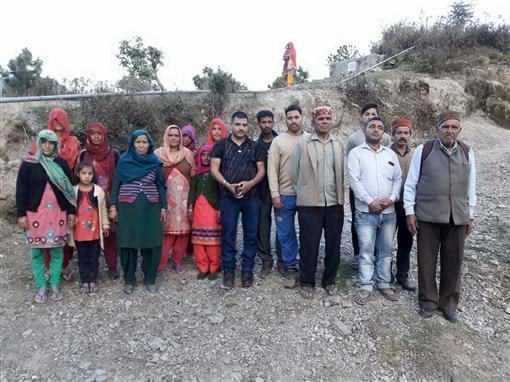 Residents of Karot village of Baijnath sub-division, 30 km from here, today announced to boycott the Lok Sabha elections in protest against the failure of the state government to construct a road and a health sub-centre. The villagers said they had met ministers, MLAs and senior officers, but to no avail. They called mediapersons at Baijnath and told them that they would not vote. They have already conveyed their decision to the SDM and the tehsildar. Because of the difficult topography, one has to cover a long distance to reach the village. In the absence of medical facilities, they had lost their loved ones as no ambulance could reach the village, they said. A pregnant woman died recently. A small track that connected the village had been blocked due to landslides. The authorities did not bother to clear the track. Schoolchildren were the worst-hit as they had to cover 10 to 15 km on foot every day. “The power supply also remains erratic and faults are not rectified for days,” the villagers said. Former MLA Kishori Lal as well as present MLA Mulakh Raj had promised to construct a road to the village, but they too failed to do so. Baijnath SDM Rameshwar Dass asked the villagers not to boycott the poll. He said he would visit the village soon and persuade the villagers to cast vote.